✅ Trip Verified | Auckland to Taupo. Very basic service. Unfriendly staff at the airport. Poor boarding. The plane was small, people with lots of big bags, during the short flight water was offered but the attendant was lacking any table or trolley, just plastic cups and a bottle of water - in consequence some water was poured out on the floor. Everything looked so basic. "Time to lift your game"
✅ Trip Verified | Auckland to Houston. Never again! I consider myself an avid traveler! We were kicked out of our prebooked seats and placed at the end of the aircraft. 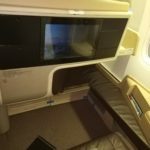 We had precooked our seats as we had a horrible experience with our previous flight from Sydney to Auckland. Poor customer service and obnoxious staff. The lack of care, compassion or willingness of the staff to at least even try to help was surprising and to get away with such behavior is rather surprising and unbelievable. 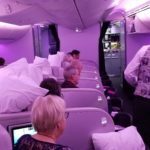 We are avid travelers and have travelled around the world and wanted to trying Air New Zealand but will never fly with them again. Rude staff, poor service and worst experience ever. Please save yourself the hassle and book with another airline!! ✅ Trip Verified | (This was a Cathay code-share on an Air NZ aircraft). 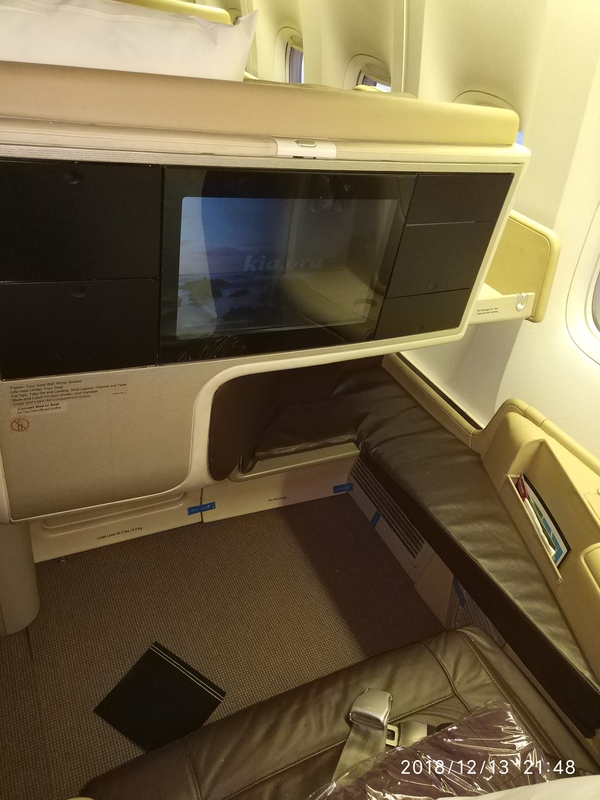 On a return trip from Auckland to Hong Kong I got virtually no sleep on both sectors because the seats are so uncomfortable. I'm tall (193cm) but have found (for instance) SIA Economy on long haul flights over the last 10 years to be comfortable enough to get at least 5 hours sleep each time - not so on Air NZ. The Economy seats on the Air NZ 787 are like planks of wood, and in fact look like that if you lift up the arm rests. I also couldn't quite stretch out my legs under the seat in front (like in SIA) because the bottom of that seat is too low. Even having a spare seat beside me each time did little to improve matters. Never again. ✅ Trip Verified | Time to pick your game up Air NZ. 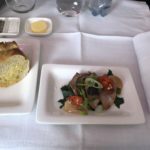 I recently took Air NZ to Japan and back. The trip out was ok, window seat was comfortable enough. The trip back was a different matter. Centre aisle seat and very hard and uncomfortable. Unfriendly Air Hostesses who were abrupt and absolutely no help whatsoever. I apparently tried to use the wrong bathroom and was told in no uncertain terms it wasn't for me and to use the other one. This left me feeling like a 5yo who had just been told off by his mother, no courtesy at all. Then the meal announcements which they announced wrong 4 times before getting it right. And it's pronounced rat-a-tooy not rat-a-tooly. The NZ accent was so bad I wanted to shrink into my seat, a 14yo old school girl would sound better. I was absolutely embarrassed. Then at 6am offering coffee service but when I ordered it (which was as soon as it appeared on my screen) I was informed the kitchen was closed. Are you kidding me, what kitchen would that be? It's a coffee pot! I realised then I had not seen one person served anything at all besides the meal. Get rid these lazy over paid idiots, sack your trainer and start looking at other airlines to see what service is all about. Time to ditch the hokey kiwi manner and accent, get professional Air NZ. You are getting tired and self important and it is obvious. I won't be flying international Air NZ after this awful experience. ✅ Trip Verified | We were having vehicle problems and arrived to a small country airport called Kerikeri at 9.41am when the flight was 9.50am. Ordinarily, my understanding was that we had to be at the airport 30 minutes before. I paid for a full 23 kg baggage flight. At Kerikeri the attendant did not greet us. She just said you cant take the bag, you're too late, just take 7 kgs. I told her I was returning to Australia. Her attitude was brash, not helpful and she was not prepared to offer options for me after paying over $500 for the flight. She even smiled when she said sorry the bag can't go. In my mind, the bag could of been taken, thrown into the hold as people were still boarding, the plane had not turned on, the doors were still open. Kerikeri is a 'one horse airport' that if the lights turned out, there is nothing there. It has a plane come in 2 x in a day so extra service can be afforded. It is not like they are rushed off their feet. But this attitude seeps through all of Air New Zealand who provide the same type of basic people in Auckland domestic airport and I had the misfortune of this group in 5 May 2019 when no one helped to show me to my plane access. Didnt take my ticket. Just stood around and said nothing. I even almost missed my flight to Palmerston North because I couldnt understand the announcer who had a hick Pacific Island accent and could not pronounce 'flight boarding' let alone Palmerston North. Again in 18 March 2019 when the guy standing there and doing nothing, throws a ticket at my 67 year old sister because she turned up 20 minutes before their domestic flight which is stated on their ticket. He tells her that she should of been on the plane 20 minutes before throwing her ticket at her. She is running down the gang way towards her plane and the other staff stand there taking no notice that she needed help Air New Zealand are shoddy, backward group whose attitude on the ground has to come from an ingrained shoddy management culture and that should be changed. I am a NZer who is ashamed that the NZ government and NZ Tourist board would ever allow Air New Zealand to be the first experience to tourists of Aotearoa New Zealand because it is bad. 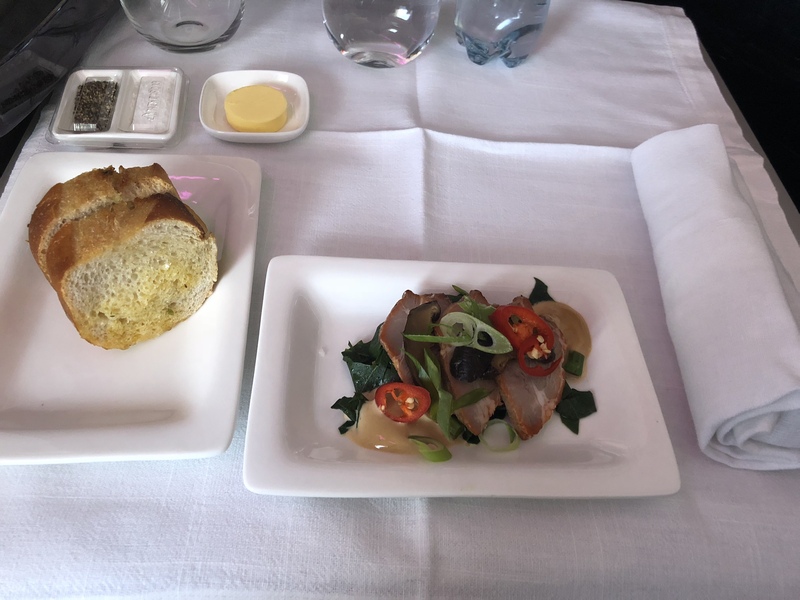 "horror flight with no dinner"
Not Verified | Having never flown with Air New Zealand I decided to take this flight rather than Virgin as it meant collecting my suitcase in AKL and booking thru to Brisbane. We waited 4.5 hrs in Auckland without information as to why the 2 hour extra wait, only to be told on board it was a catering issue! Other passengers had to connect with international airlines to Europe and were desperate. This was “a brand new wonderful plane” I was told! There were 40 rows of the skinniest tightest most uncomfortable seats I’ve ever sat in my long life of long distant flying. No food unless you were lucky enough to find and “tick” the 'food' box on the booking form and pay for it. I’d paid nearly $500 for this horror flight with no dinner. We got in at 11 pm instead of 8.30pm. Never again will I fly with this airline. I've flown with Ryanair for $180 or less in more comfort! "don’t receive the airline points"
"Premium economy on Air NZ is a joke"
Not Verified | Auckland to Los Angeles. Sat writing this as I wait for my next flight. Shockingly bad: this was leg 1 through to London and I used airpoints to upgrade this portion to premium economy. No welcome, no chat, fizzy wine after an age to ‘welcome’ you on board in a plastic cup! No menu. I was 2 in a row of 4: fair enough, it was a last moment thing: but when it takes nearly 10 minutes to bring a glass of water (or climb over sleeping co-passengers) that’s bad. The staff were overworked and grumpy. Premium economy on Air NZ is a joke. Never again. It’s not what Air NZ used to be and it’s frankly not good enough for our National Airline. Not Verified | I am presently waiting at Christchurch airport for Air New Zealand to take me to Auckland they are very late and this is the second time on two flights that they have achieved serious delays. I stopped taking Jetstar because they were always late I believe in New Zealand is the new Jetstar Air New Zealand it is time stop talking and started being on time.